Ring in 2019 with us!!! 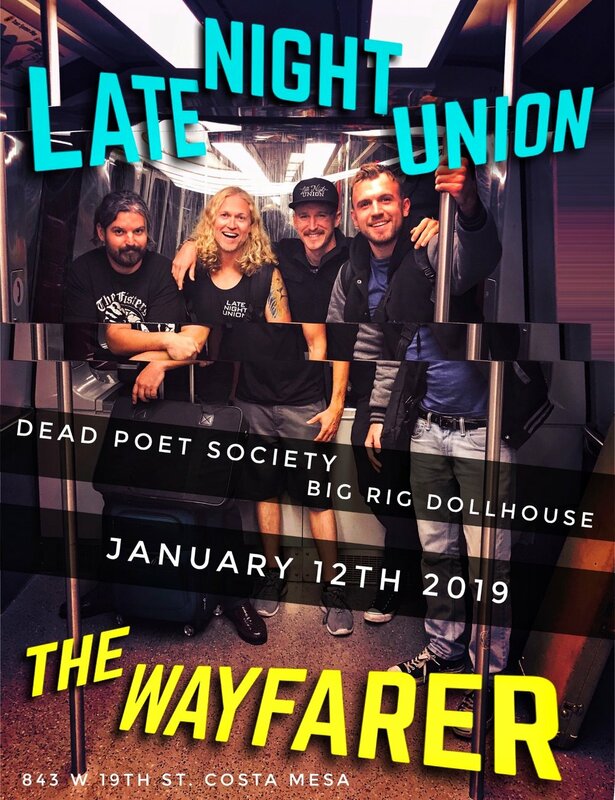 We will be supporting The Sugar for their residency at the Wayfarer in Costa Mesa. We go on at about 9. Heavy In Huntington at Fitzgeralds!!! We go on at 8pm!!! The next band goes on at 9pm so don't miss us. Show up on time and we can blow your musical mind! 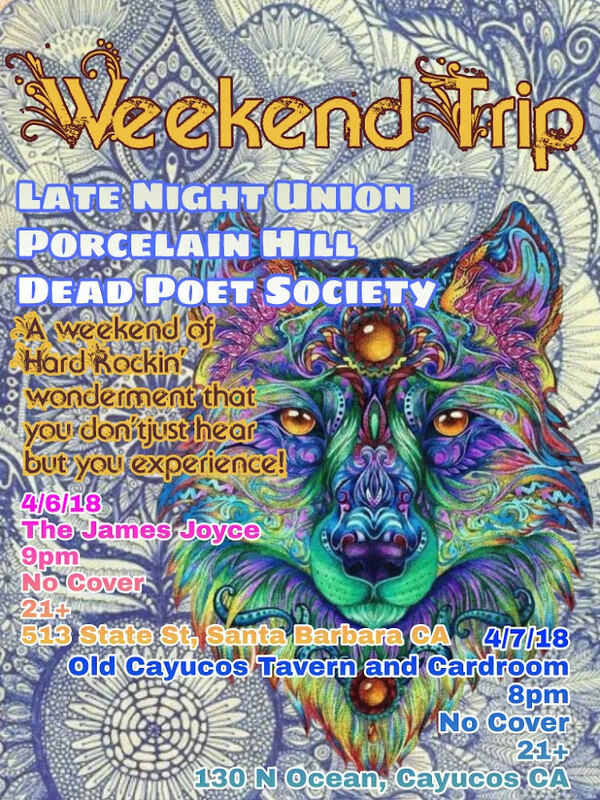 Late Night Union in Laguna Niguel!!! Want to have the best Thursday night of your life???? Come down!!! Round II of Battle of the Bands. Late Night Union won the last round! Thanks for the support!